In a surprise move by the Obama Administration a crucial part of the law was delayed. The law requires Employers with more than 50 employees to provide health insurance for their workers. They have now delayed that until January 1, 2015. This brings many questions. The Administration says it is too much for the companies to do in 6 months since the final regulations were just released. Could it also be a political move?? The law remains highly unpopular and with the 2014 mid-term elections ahead, could that be the reason, to delay?? Could it be the funding as the law is costing us more that we were told originally? Could it be that they are now acknowledging that is bad policy. Maybe they are searching for something to put in its place. I guess we will not know on this one for another year. I personally always stick on this topic to my original line of thinking. In the great depression, when there was a wage freeze, health insurance became a perk. They could not pay you more money, so they gave you insurance to entice you to work there. Not a bad strategy. However, I go back to why is it your company’s job to insure you? They do not pay for your homeowners insurance or your auto insurance ( unless you have a company car). This is why I have always believed that group health insurance was a bad idea, for small businesses. The cost is high and the benefits may not be enough to justify the premium. Some other questions I cannot help but wonder.. Is this incentive to companies to drop health insurance and send their employees into an insurance exchange?? Will some carriers go to higher deductible health plans this year so we can save money this year while they wait for next year?? Is this the first step of the entire law falling apart?? 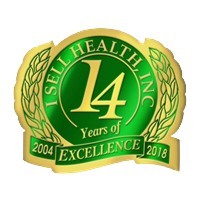 Eric Wilson is president of I Sell Health, Inc. A Chicago area insurance company. He can be reached toll free at 888-448-5370.